Dreams make us better, happier, healthier people. They help us achieve our greatest potential. They help us become the person we want to be. 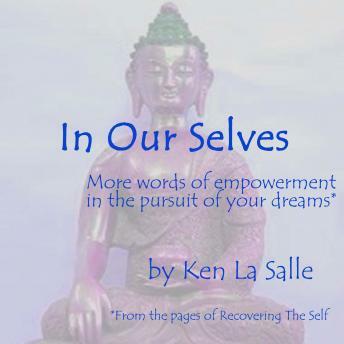 With 'In Our Selves' Ken La Salle brings another collection of essays from the pages of Recovering the Self. Not only does he share his journey but he also provides the reader with tips and clues and signposts to help them along the way.